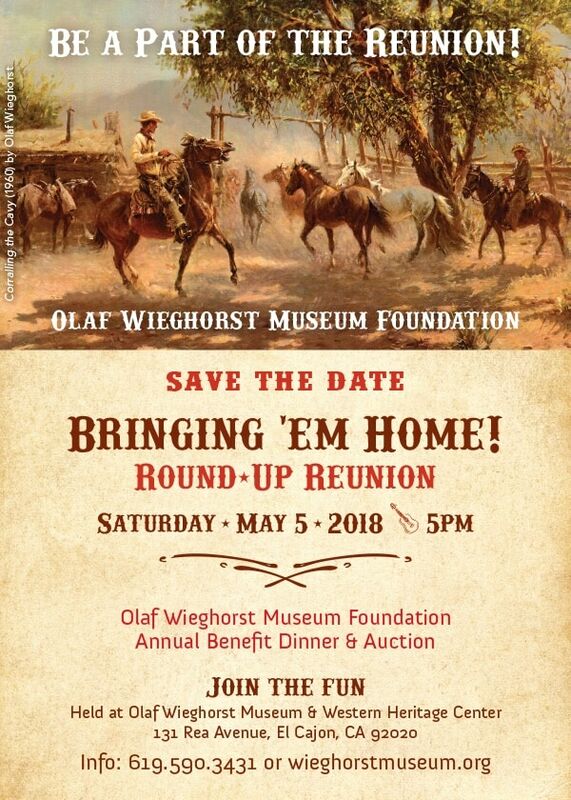 The Olaf Wieghorst Museum Foundation is bringing the Round-Up home to the Museum this year. Plan to join them for this fun time, Saturday, May 5, 2018. They would also like to request items for their live and silent auctions. If you have items you would like to donate, please contact Earlene at 619-590-3431 or hollmichel@sbcglobal.net for email.